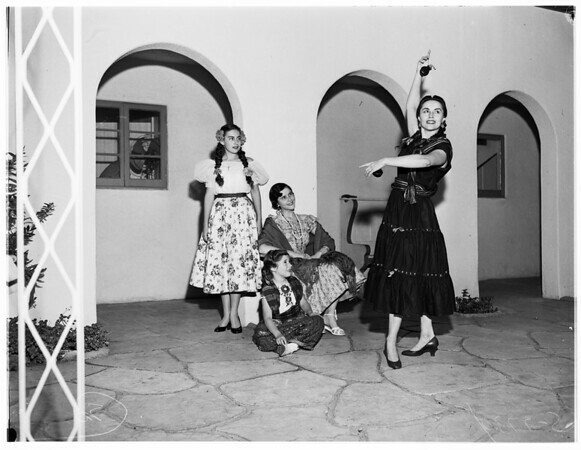 Supplementary material reads: "Photo assignment for Tuesday June 16 at 1 p.m. Pls go to home of Mr. Sansone, 4801 Los Feliz Blvd., get shots of women planning fiesta for Las Damas Pan Americanas. Candid, three cols. Contacts Wednesday. Thanks, Carter Ludlow". Edits: "Mrs. Frank Whitehead".